Modest oil resources and favorable agricultural conditions provide Cameroon with one of the best-endowed primary commodity economies in sub-Saharan Africa. Cameroon’s economy suffers from political and economic factors that often impact underdeveloped countries, such as stagnant per capita income, a relatively inequitable distribution of income, a top-heavy civil service, endemic corruption, the continuing inefficiencies of a large parastatal system in key sectors, and a generally unfavorable climate for business enterprise. Since 1990, the government has embarked on various IMF and World Bank programs designed to spur business investment, increase efficiency in agriculture, improve trade, and recapitalize the nation's banks. The IMF continues to press for economic reforms, including increased budget transparency, privatization, and poverty reduction programs. The Government of Cameroon provides subsidies for electricity, food, and fuel that have strained the federal budget diverting funds from education, healthcare, and infrastructure projects. 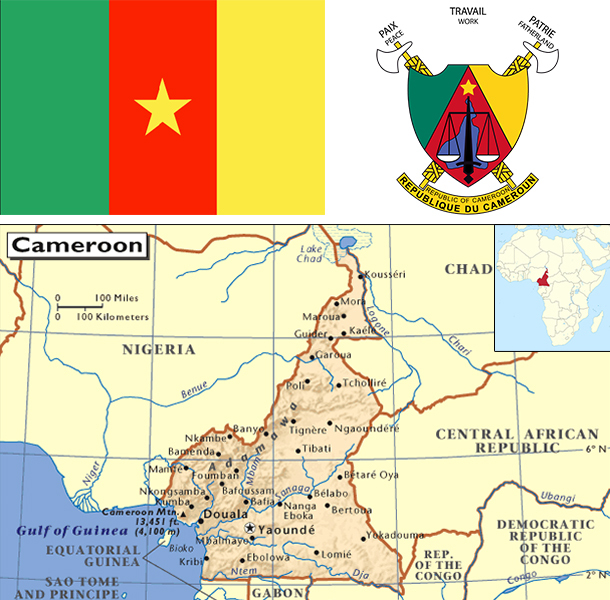 Cameroon devotes significant resources to several large infrastructure projects under construction, including a deep sea port in Kribi and the Lom Pangar Hydropower Project. Cameroon’s energy sector continues to diversify, recently opening a natural gas powered electricity generating plant. Oil remains Cameroon’s main export commodity accounting for nearly 40% of export earnings despite falling global oil prices. Cameroon continues to seek foreign investment to improve its inadequate infrastructure, create jobs and improve its economic footprint but its unfavorable business environment remains a significant deterrent to foreign investment.